Thomas Curley on-site with his Sound Devices gear at Motor Trends Best Driver’s Car Experience event. Growing up in Troy, NY, Thomas Curley always had big aspirations. After graduating from college and spending years doing broadcast engineering work, Curley met Academy Award-winner David MacMillan while working as a PA on Dreamworks’ “The Time Machine.” MacMillan introduced him to the world of location sound recording, and his plan was set. Six months later, Curley moved to Los Angeles to pursue a career in production sound. Since then, he has worked almost incessantly and continues to secure feature film and television work. This dedication to his craft has paid off, starting in 2008 when Curley was inducted into the Cinema Audio Society (CAS). Then in 2015, Curley received an Oscar® for “Achievement in Sound Mixing,” as well as a British Academy of Film and Television Arts (BAFTA) Film Award for “Best Sound,” for the film Whiplash. Curley’s approach to production sound is simple: analyze each shot as it comes. He chooses sound setups based on what is best for the production—not what is most convenient. Curley tries to consider what will help the editor have a simple and logical workflow, and advises production on how to best take the sounds he records efficiently into post to save time (and money). He does all of this while maintaining the quality of the original master throughout and relies on Sound Devices’ products to consistently deliver those results. “Sound Devices’ 442 was one of the first pieces of equipment that I purchased; I have been using their products for my entire career,” said Curley, adding that he now owns a variety of Sound Devices’ equipment, including a 788T, 633, CL-8, CL-9 and an MM-1 preamp. 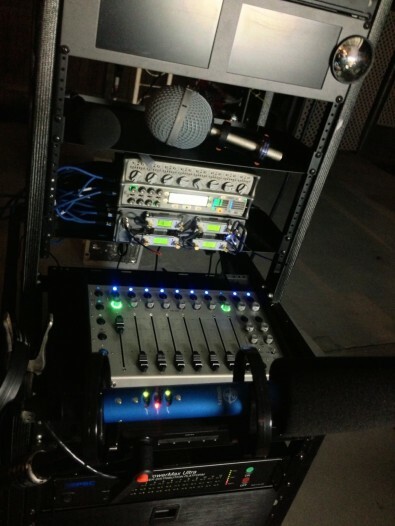 Curley’s highly portable sound cart features a full complement of Sound Devices gear. Curley’s work runs the gamut from episodic television production on shows like “American Horror Story” to feature films like “Whiplash” and the soon to be released “Delirium, Going Under,” and documentary/interview-based shows like the IFC comedy series “Documentary Now.” His projects have taken him to many exotic and challenging locations. “I have literally hit just about every environment this planet can present to me and my Sound Devices gear has been with me every step of the way, working beautifully,” he says. Curley has always jumped between cart and bag, never quite certain what a project will throw at him. In the past several years, he has kept his 788T mostly on the cart and the 633 as his jump rig. He uses the CL-9 with the 788T on his cart and has the CL-8 ready to be plugged in for backup, just in case. The CL-9 is cost-effective, only requires one cable, reduces clutter and gives Curley full access to every 788T feature, including the built-in communication options. The 633 provides Curley with a lightweight rig that packs an abundance of features into a small package.